Had a great ride out yesterday with the Fazer Owners Club (Unofficial). The weather was a bit grey and rain was hinted at, but luckily we escaped it all and had a great ride. Starting out at the Silver Ball Cafe on the A10 just South of Royston, we made our via some back roads to Finchingfield in Essex. A picturesque village with a super little cafe and a popular pitstop for lots of bikers. Once sated, we set off South down to High Beach tea hut in Epping Forest. 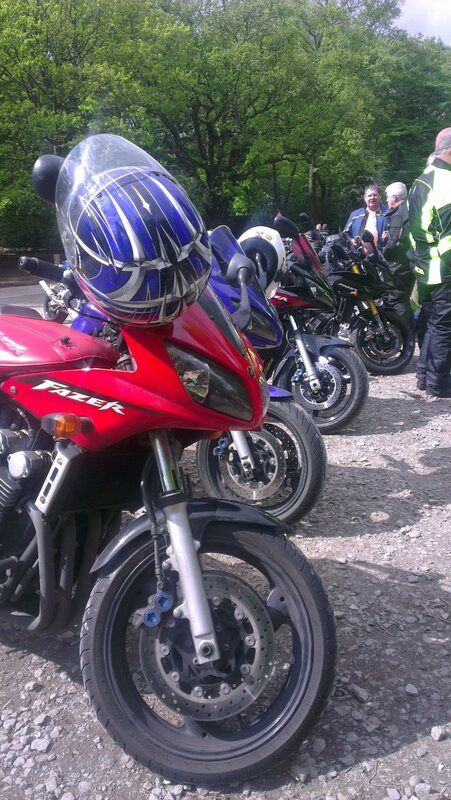 Overall a chilled out ride, with some good company, top stuff all round. The route we took, with an additional loop back via Roydon and Ware.